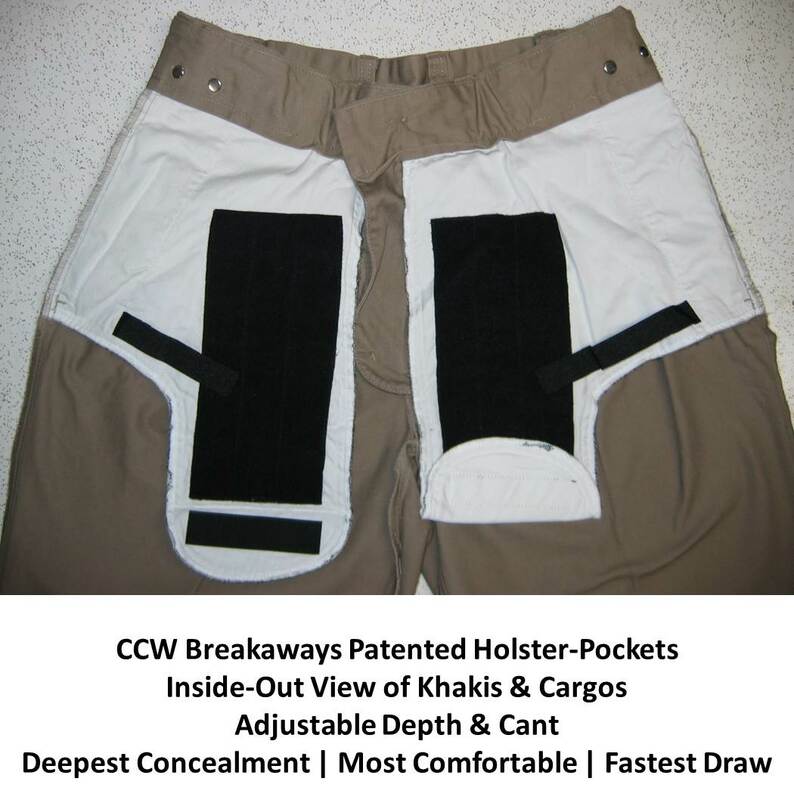 What characteristics and features make CCW Breakaways the best tactical pant? that don't look "tactical" or scream "shoot-me-first"
Get the right size to fit you perfectly. Click on Properly Fit. 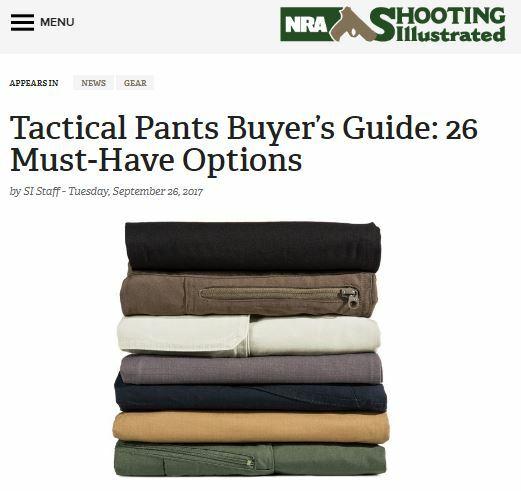 Shop and Order your Khakis, Cargos, or Jeans and become tactically proficient. 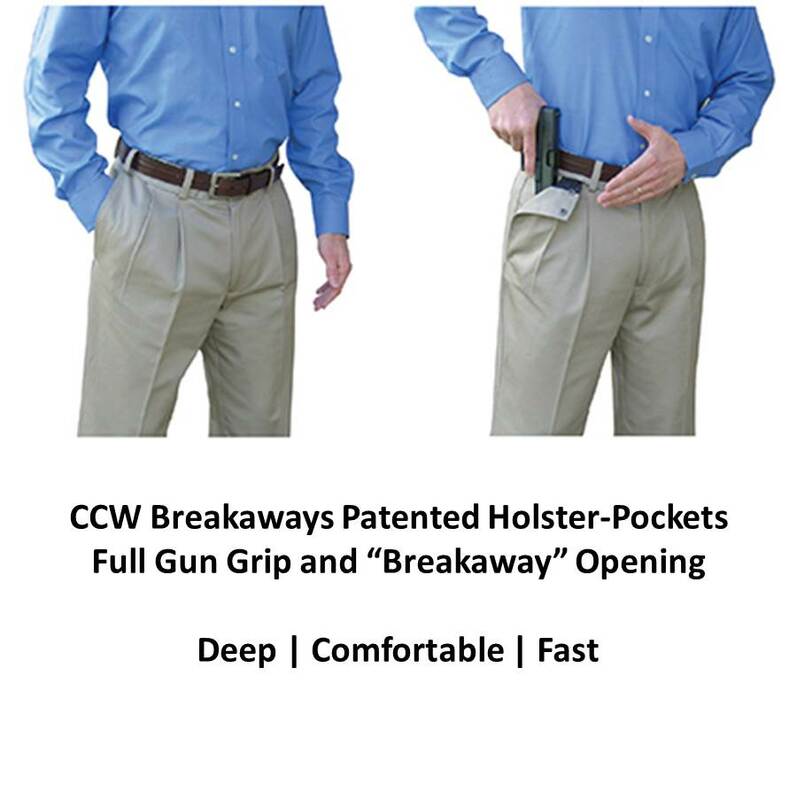 CCW Breakaways are the best tactical pants available for being the covert, discreet gray man. We encourage you to compare our products to the competition. The NRA's Shooting Illustrated did. No other pant has patented built-in holsters. 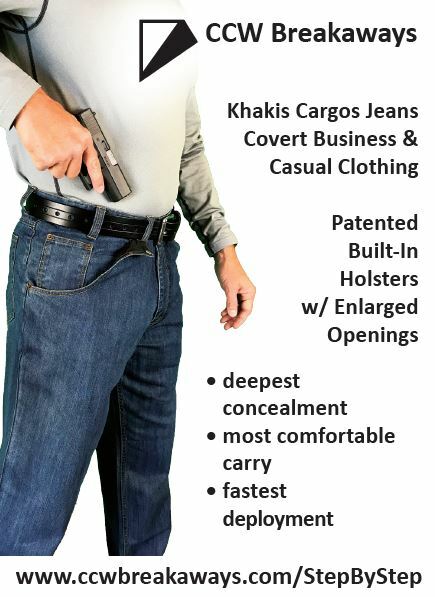 And no other pant provides a deeper concealment and faster draw. Click on the image below to see the results. Read further, and view the images and videos below to fully understand how the CCW Breakaways system works. How quickly can you draw from CCW Breakaways? With a full gun grip in a concealed state, you've cut more than half the cycle time out of a gun draw. Watch the slow motion video. 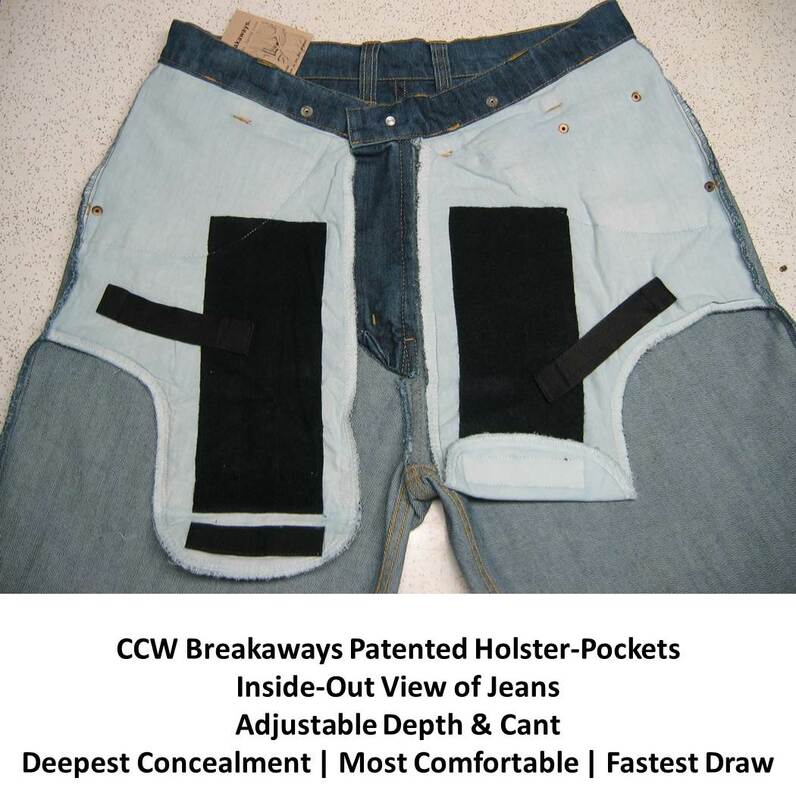 CCW Breakaways were designed for movement . . . the same kind of movements you perform in gym clothing. Jumping. Striking. Climbing. The videos webpage demonstrate the mobility and agility you need.